This download contains 45 pages of word wall words. 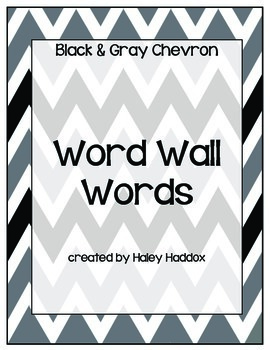 The words all have a black, white and gray chevron background that are ready to go in this download. 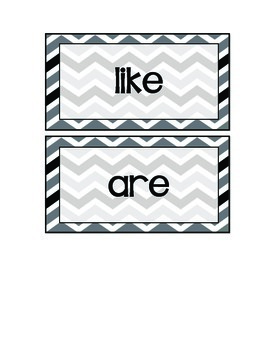 Additional color words have the corresponding color chevron background. 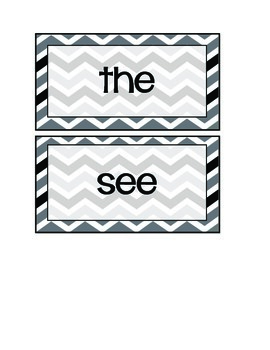 Coordinating chevron items will be available soon! Please request anything you would like in this design.